Afghans aren’t very optimistic about their economic future, according to a new Gallup poll, as the country prepares for the withdrawal of American troops and a cut off in international aid that has sustained it for nearly a decade. Just weeks ago, the 13-year U.S. and NATO combat mission ended, though newly elected Afghan President Ashraf Ghani, formerly a World Bank economist, agreed to a small remaining presence to help train Afghanistan’s security forces. While many Afghans expect the withdrawal will only make the Taliban stronger, they’re also concerned about the country’s economic future. Two out of three say economic prospects are about to get worse, and fewer than one in five think it's a good time to get a job. Some 46 percent of Afghans say they expect the Taliban presence to increase. From 2003 to 2012, Afghanistan’s annual GDP grew about 9 percent on average, hitting a peak of 14.4 percent in 2012, according to the World Bank. But it shrank to 3.7 percent in 2013 and just 1.5 percent last year. A major reason for the decline is lack of investor confidence. In recent years, the Afghan government has received roughly $8 billion a year in international aid, but Kabul is expecting just $1.8 billion in revenue this year, according to Agence France-Presse. Meanwhile, the country’s opium industry, which fuels the Taliban, is expanding, and increased from $2 billion to $3 billion in 2013. Over the past decade, the U.S. has spent $104 billion on reconstruction efforts in Afghanistan. A great deal of funding went toward salaries for security forces and other public workers, which has left the private sector in trouble. 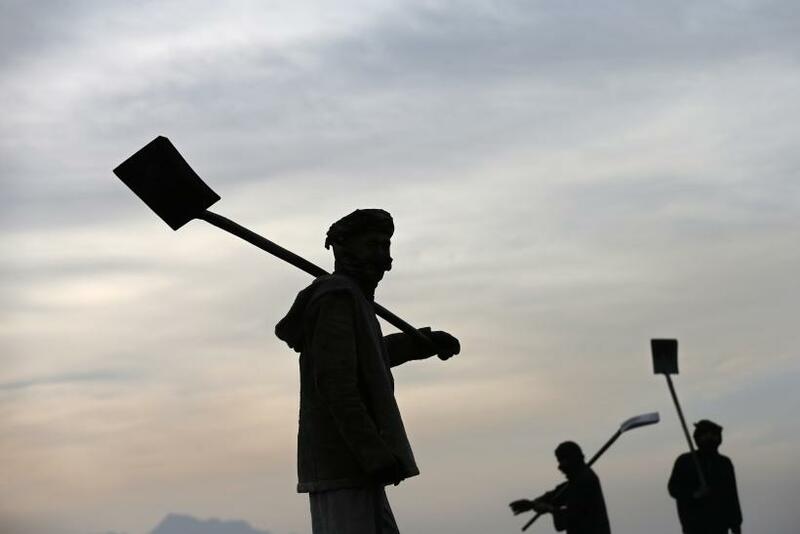 “With growth slowing in every sector of Afghanistan’s economy, from services and industries to agriculture, there are fewer jobs available for Afghans who were already grappling with high unemployment,” the report says. And locals know it. Fewer than one in five survey respondents said it was a good time to find a job. To get the data, Gallup conducted face-to-face interviews with 1,000 adults in Afghanistan between August and September 2014.